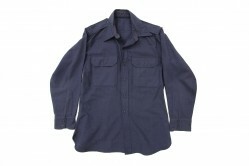 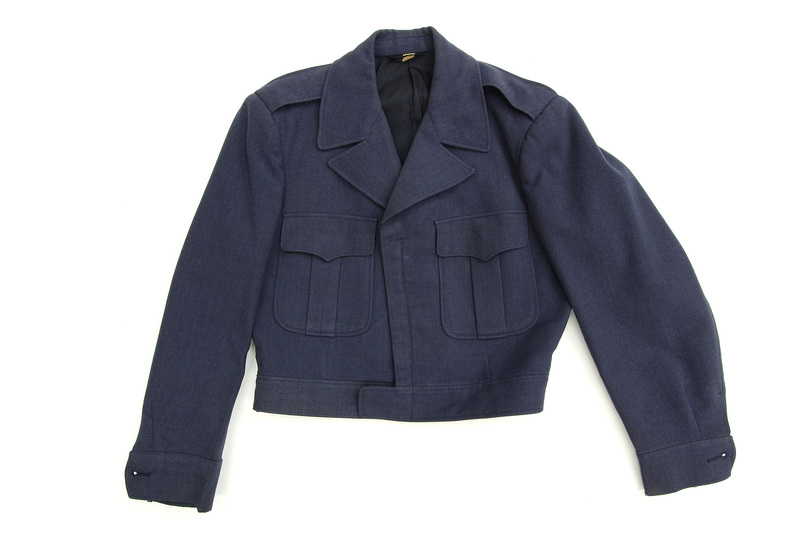 The popular olive drab Ike jacket worn in WWII by U.S. Army and Army Air Force service members was duplicated in air force blue when the U.S. Air Force became a separate service. 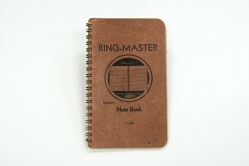 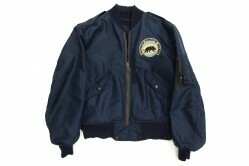 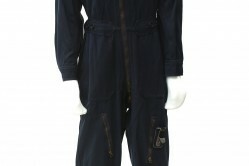 It was authorized for wear from 1947 to 1964. 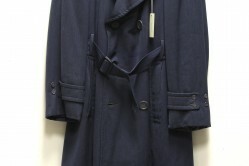 This blue wool Ike jacket closed with a zipper instead of buttons and was worn with a light blue shirt and dark blue tie. 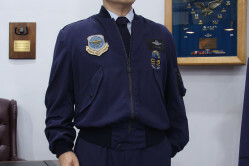 The jacket belonged to Major William C. Voigt.